You’ve undoubtedly already experienced it: you hear a song on the radio, you are under the spell of a soundtrack or you are enthralled during a concert. Music can suddenly pluck your heart strings and get hold of you. Usually you don’t know why and you cannot resist it. That aspect intrigued Arte. The design team was inspired by music’s impact on us; its symbolism and the fantasy that goes into it, its full tone, vibrations and rhythm. 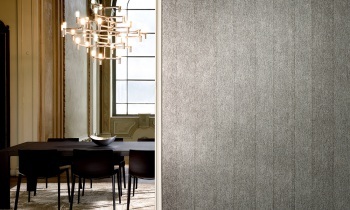 Rhapsody wallpaper puts you in the mood for the beautiful curves, lustre and warm metal colours of musical instruments. The collection is beautifully orchestrated. Let’s become acquainted with the plains in this collection. For the solid coloured wallcoverings you can choose from two prints: a finely woven fabric print called Solo and a coarser fabric print called Note. You can see and feel the rhythm of the fabric and if you play with the light, you can also see a frivolous radiance. A bit further in the book you have a similar print in which the selvedge of the fabric plays first fiddle. A fun and creative detail that provides stripes in the final result. Tempo provides rhythm and regularity. We are going crescendo and have reached the actual patterns. 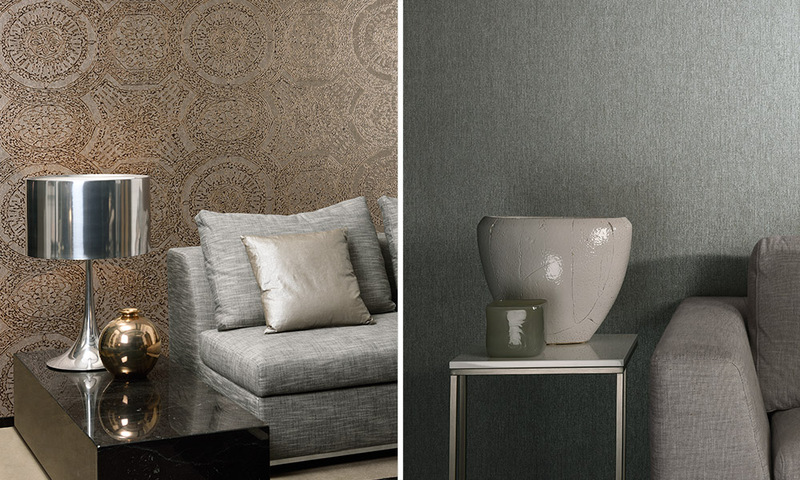 You can choose from a fine, modern damask motif – Arco – with unusual contrasting colours and shiny contours or a larger print, Opus, which calls up associations with the luxury of oriental carpets. They are all very harmonious. The high point of this collection is an even bigger and more sublime decorative pattern that makes your walls speak and demands attention. The patterns that you see here might seem classical, but they are very modern due to their atypical colour combinations and shiny effects. This has never been seen before. The grand finale in this collection is Rondo. A musical climax with the radiance and lustre of the fairy tale One Thousand and One Nights. The base is sober and rather dark, but it is covered with droplets of liquid gold or silver. At least, that’s what it looks like. The impressive drawing is composed of numerous whimsical, round spots of liquid metallic lustre. The final result looks hand-made. 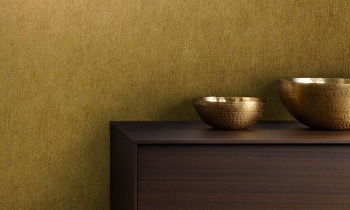 The sublime combination of colour and lustre provide a special result on the wall. The colour chords vary from natural colours to fresh tints. 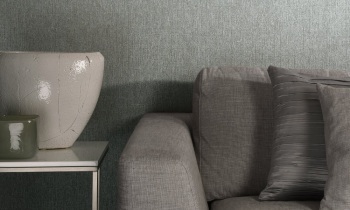 For each wallcovering with a pattern, several solid variants are suggested. It is perfectly possible to select a unique arrangement for every project.